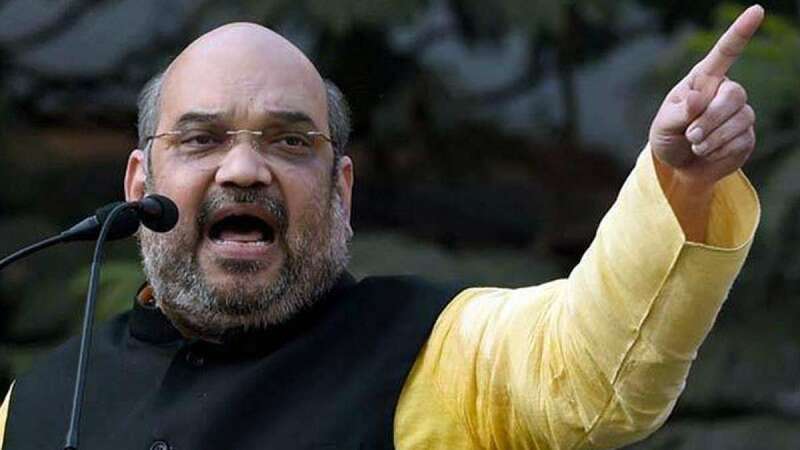 Lucknow : Bharatiya Janata Party chief Amit Shah on Saturday released the party's Uttar Pradesh poll manifesto with attractive offers like waiving off loans and free laptops for the students. Releasing manifesto in Lucknow, he claimed that BJP will revive development in Uttar Pradesh. # BSP and SP have plundered Uttar Pradesh in last 15 years, BJP will transform the state. # Agricultural loans of the farmers will be waived off. # Special task force will be made to stop illegal mining in Uttar Pradesh. # No interview for Class III and IV UP govt jobs to end corruption in recruitment. # Free education till class XII, meritorious students can do free graduation too. # 24 hour electricity, with special tariff rates for poor. # Free WiFi in all universities and free laptops to all students "without any discrimination." # Slaughter housed to closed down in Uttar Pradesh. # Efforts will be made to ensure that Ram Temple is constructed under constitutional provisions.